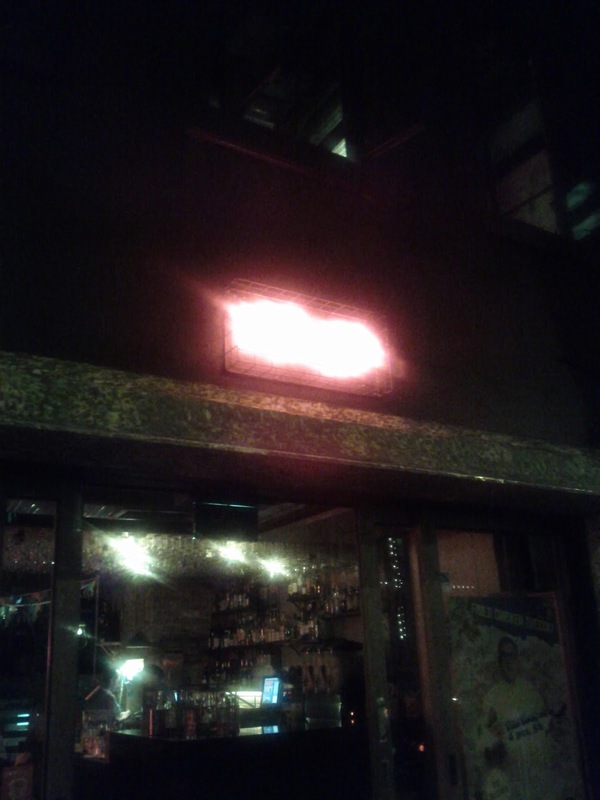 A little way down the hill from the centre of Kings Cross, on the slightly seedy Victoria Street, Ms.G's is. It describes itself as: "Modern, decidedly Asian and unlike anything you’ve ever experienced before..."
The restaurant is split over a couple of levels, off the street the first area was dominated by a bar and large table, we were offered a tiny table by the wall we we arrived on a Monday evening. There weren't many other tables on either level available. 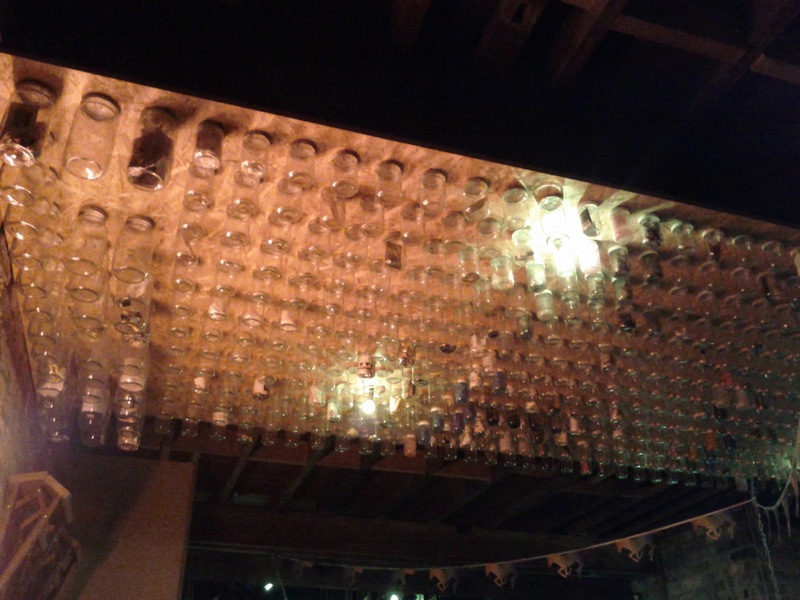 The look of the place was fairly trendy bar like, including lots of mostly empty jars on the ceiling. 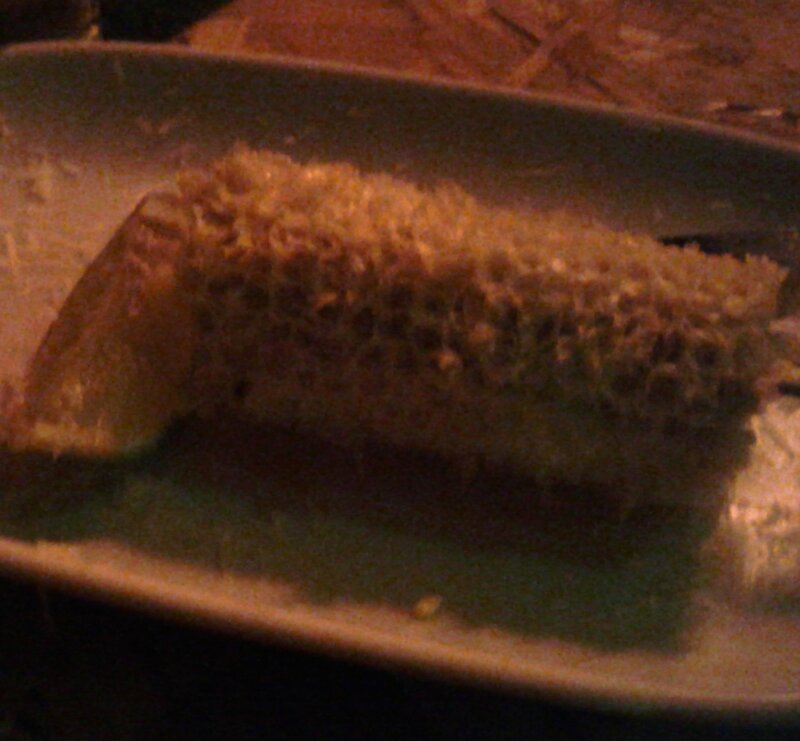 The grilled corn on the cob with parmesan and lime was rapidly devoured. The D.I.Y. 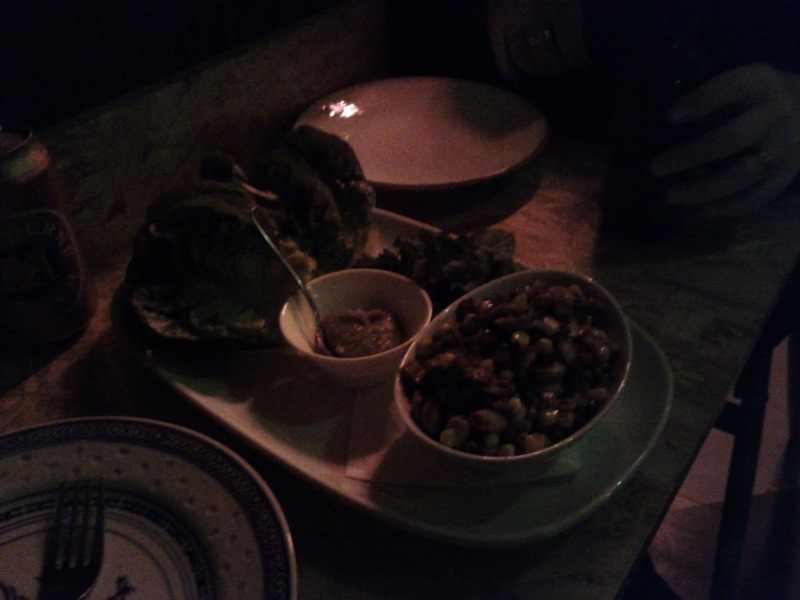 Sang Choy Bao featuring Sichuan chilli lamb, smoked eggplant and sambal was full of interesting flavours. 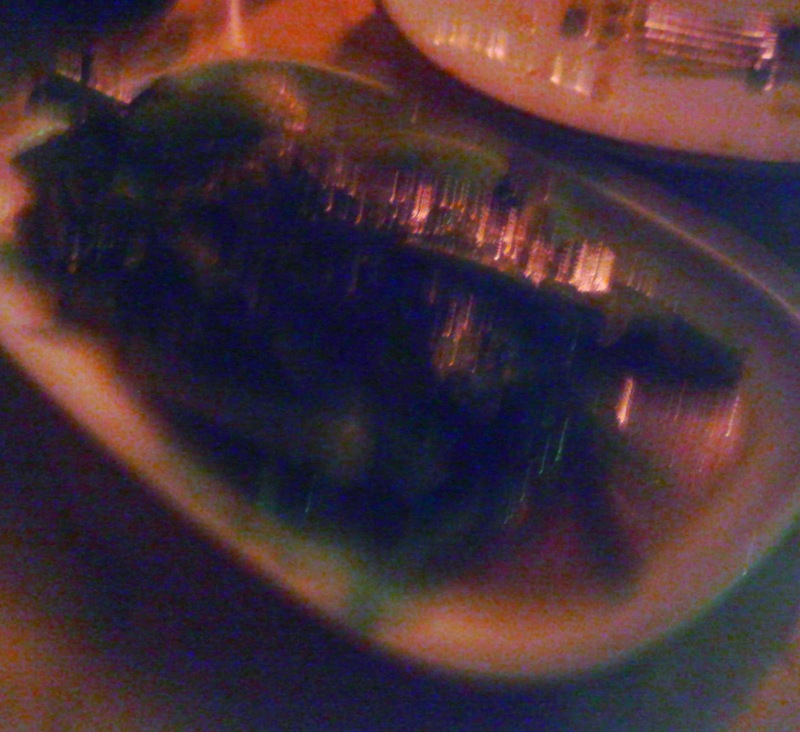 The stir fried greens in oyster sauce and shallot oil arrived next and alone, which seemed strange to me, eventually our rice came after we asked for it. The greens were fine but a bit boring on their own. 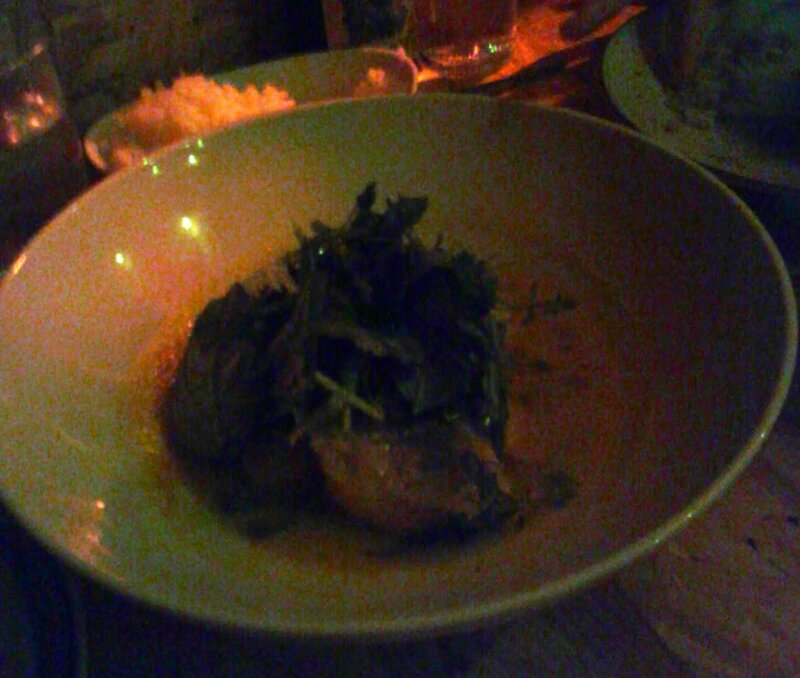 The Vietnamese snapper curry was nicely flavoured but didn't feature that much fish. I found the service off hand and unfriendly, and didn't like the atmosphere, but I'm sure others may feel differently. The food was fine, but I'm probably a bit spoiled by the great Vietnamese and Asian food available on my doorstep in Footscray, this meal seemed overpriced at $80 with a couple of drinks.